When the understanding of blasphemy is limited to voicing negative comments regarding the Holy Spirit it is easy for anyone to consider themselves free of guilt. God will not tolerate vilification of the Spirit whether through verbal assault or through failure to honor his right to rule in the confessor’s life. The New Testament’s use of blasphemy was most commonly applied to Christ on occasions where he either made the claim that he was the Son of God or that he could forgive sins. The Lord’s use rested in a person’s failure to honor the Holy Spirit, his Spirit (2 Cor 3:17, 18) by despising him verbally. Blasphemy has applications other than vilification by word, however. The Lord told Moses and the Israelites, “But anyone who sins defiantly, whether native-born or alien, blasphemes the Lord, and that person must be cut off from the people. Because he has despised the Lord’s word and broken his commands, that person must surely be cut off; his guilt remains on him.” (Numbers 15:30─31 NIV) The charge of blasphemy rests not only on vilifying through word but also by sinning defiantly. Ezekiel was commanded to tell the house of Israel, “This is what the Sovereign Lord says: In this also you blasphemed me by forsaking me.” (Eze 20:27 NIV) “Sinning defiantly” and “forsaking God” are also forms of blasphemy. The writer of Hebrews addressed this matter. “If we deliberately keep on sinning after we have received the knowledge of the truth, no sacrifice for sins is left, but only fearful expectation of judgment and of raging fire that will consume the enemies of God.” (Heb 10:26─27 NIV) Vilifying, defying, deliberately sinning, and despising the word of God are forms of blasphemy and that includes not attending to the call of the Spirit. Blasphemy against the Holy Spirit is a very serious matter and it is often masked by beliefs that promote inaccurate teachings about God’s mercy and grace, about his unconditional love, about the believer’s adoption as a son, and about the reality of his or her eternal security having been assured. Where these teachings prevail, not much thought has to be given to the need for obedience or to honoring the Spirit. Blaspheming the Spirit is done knowingly and intentionally, and comes from a defiant and rebellious heart but is not limited to evil words, it also includes denial of the Spirit’s right to the direct confessor’s life. The ministry of the high priest was first practiced in the sanctuary of Jewish tabernacle worship and we are told that the earthly sanctuary was a copy of the heavenly sanctuary. (Heb 8:5) It had two sections. The priests carried on their prescribed ministry in the Holy Place which was the outer room. They carried out the ceremonies and rituals of the earthly tabernacle in accordance with God’s instructions. They offered animal sacrifices on a daily basis for the sins of the people as they were acknowledged by the confessor; that is, for known sins. The believer cannot confess and be purified concerning sins about which he is unaware. It is the role of Christ as high priest to plead his blood for cleansing sins committed through the believer’s ignorance. The writer of Hebrews has encouraged the believer concerning the power and authority of Christ, “Therefore he is able to save completely those who come to God through him, because he always lives to intercede for them.” (Heb 7:25, NIV) Christ is able to save completely because he intercedes for the believer in regard to confessed sin and for sins committed in ignorance. The ministry of Christ needs to be understood and respected. His Father, who allowed him to suffer on the cross will not allow his Son to be trampled under foot. Teaching that promotes the thought that all sin and sinning was addressed at the cross is error and those who live as though sin is no longer of concern to them will one day suffer the wrath of God for their disregard. Christ came to defeat the work of Satan and to create a holy people. (Heb 12:14, NIV) It is in this matter that Christ as high priest is essential. The New Covenant is a covenant of the Spirit and not of the law. Sin is revealed in the believer’s life according to the Spirit’s enlightenment and he reveals sin specifically and individually according to the stage of transformation that he is carrying out in the believer. Not all sins are revealed at the same time; the believer remains ignorant of some. Those that are made known however, are to be confessed in order for cleansing to take place and for the believer to gain victory over their practice. Those about which the believer is unaware will be advocated by Christ as high priest. 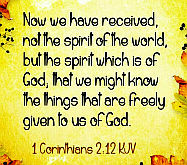 Because of this Paul has emphasized the ministry of the Spirit. “And so he condemned sin in sinful man, in order that the righteous requirements of the law might be fully met in us who do not live according to the sinful nature but according to the Spirit.” (Rom 8:4, NIV) The Spirit reveals sin on his schedule. The high priest of tabernacle worship offered sacrifices and Christ also must offer sacrifices to God. Paul stated that he was given “the priestly duty of proclaiming the gospel of God, so that the Gentiles might become an offering acceptable to God, sanctified by the Holy Spirit” (Rom 15:16, NIV) The cleansed and transformed believer is the acceptable offering. The goal of Christ is to keep and to present the transformed sinner to his Father, perfect and holy, as his own brother and sister and his ministries as Spirit and as high priest are essential to that accomplishment. …Willful sin is the first place to start emptying. 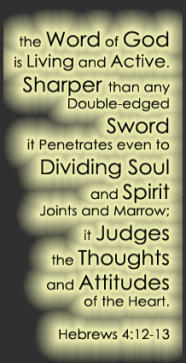 We must declare war on any action, thought, attitude, word or habit that displeases the Lord. Without conscious effort, we easily slide into the sin management business, harboring and justifying pet sins, rather than confessing and repenting of them. The result is a sinning religion — a state of spiritual disobedience — that looks a whole lot more like the world, the flesh and the devil than like Jesus. The consuming concern of sin management is: “How much sinning can I get away with? That’s the wrong question. A wealthy lade interviewed three men for a chauffeur position. “How close can you get to the edge of a cliff without falling off? she asked. The first guy said, “Twelve inches.” The second guy said, “Six inches.” The third guy said, “I’ll stay as far from the cliff as I can.” He got the job. When staying close to the cliff appeals more to us than staying close to Christ, we are trying to manage sin. Spiritual victory is never found along the fuzzy edges of compromise. God calls us to steer clear of the cliff altogether. The poor dude must have been praying to another deity, perhaps the false idol of self-indulgence. He was following his heart, but he certainly wasn’t hearing from heaven on that one. Satan, the deceiver, lures us into false assuming it must be true if it feels right. We delude ourselves into thinking that wrong is not so bad in this particular instance. Deep down we still know right from wrong. Justifying bad behavior never justifies us before almighty God. Scripture clearly calls us to renounce our sins rather than excuse them. 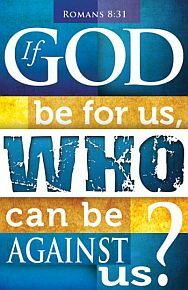 Can One Sin Separate Us From God? …My question is how much sin can a person get away with before they fall away? The carnal Christian teaching of some has created three types of people. Lost, Saved, and Carnal. For example, Charles Swindoll teaches that the truth of the carnal Christian is the one truth that he wishes people in the world could understand. 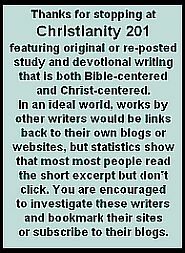 The carnal Christian explains how people who claim to follow Christ can commit adultery, lie, cheat, steal, murder, lust, etc. Others, such as John MacArthur, point out that the carnal Christian teaching is an insult to the cross and to God’s grace that teaches us to deny sin (Titus 2:12). And yet MacArthur believes that believers do fall into sin and commit horrible acts. He does believe that believers should pursue holiness but he also teaches that the sinful nature still indwells the believer along with the Spirit of God and that often the sinful nature wins the conflicts (Galatians 5:16-17). Many Bible teachers (and not just Calvinists) teach that we do sin (sometimes daily) and that we can sin willfully and grossly. My answer is that only God knows a person’s heart. We can judge by His Word (John 7:24) and we are called to judge in the Church those living in sin even putting them out of fellowship if necessary (see 1 Corinthians 5). Jesus spoke about brothers sinning against brothers and how to deal with that in Matthew 18:15-20. I do believe that we need to heed 1 Corinthians 10:12 and abide by 2 Corinthians 13:5 and make sure that we are in the faith. We are to make our calling and election sure (2 Peter 1:10-11) by striving for holiness (1 Peter 1:15-16). When we sin, we should confess that sin to the Father (1 John 1:9). If need be, we should confess that sin to a brother or sister in the Lord (James 5:16). If we see a brother or sister in sin, we should warn them that no unrighteous person will inherit the kingdom of God (Ephesians 5:3-10). We should warn them to forsake their sins lest they become ensnared by sin (2 Peter 2:20-22).